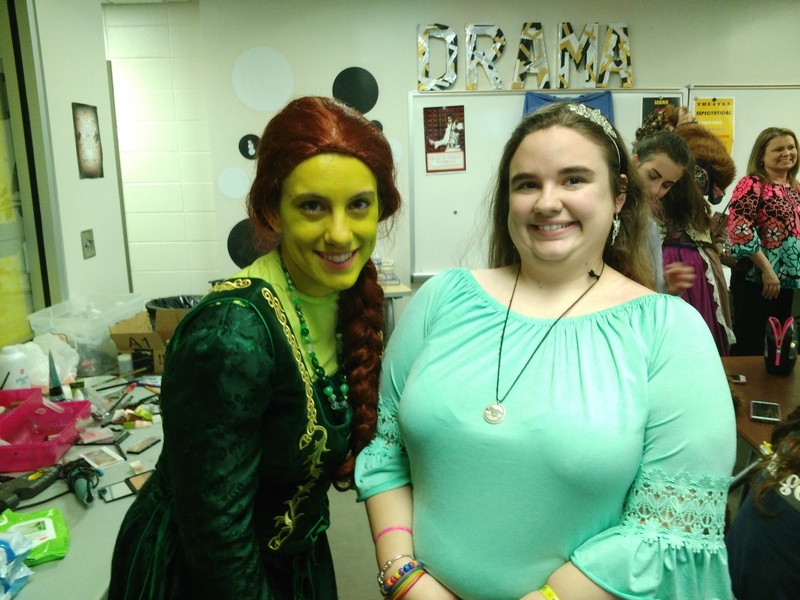 CULLMAN – There were some special guests at Thursday night’s opening performance of “Shrek: The Musical” at Cullman High School. As members of Cullman High’s Performing Arts prepared for the show, they were joined by members of Flourish of Cullman, Inc., a nonprofit that provides community-based support to individuals with developmental disabilities. CHS drama instructor, Wayne Cook, explained, “We want to learn about what others are doing, and we want to say that theater is life… art is life.” Cook says “Shrek” has a special meaning that especially applies to members of Flourish. “The show is about accepting people who have differences, and who may not exactly be like us,” he said. CHS has also partnered with clients from the Cullman County Center for the Developmentally Disabled/ Margaret Jean Jones Center. Public performances of “Shrek” continue Friday at 7 p.m. and Saturday at 2 p.m. and 7 p.m. Admission is $10 for adults and $5 for students. All children younger than 5 get in free.